In a pretty unsurprising move, Texas Rangers starter Yovani Gallardo has reportedly declined the Rangers' qualifying offer for the 2016 season at $15.8 million, according to CBS Sports' Jon Heyman, leaving the total number of players to have ever accepted said offer at one — Houston's Colby Rasmus, who accepted on Thursday. The decision from the Fort Worth Trimble Tech grad means the Rangers will receive a first-round draft pick as compensation from whichever team signs Gallardo in free agency. The Rangers could still end up signing Gallardo, but it's highly unlikely. Don't get me wrong, Gallardo was a huge, huge part of the Rangers' success in 2015 and should be forever praised by Rangers fans for being a significant part of their surprising success and AL West title. But he doesn't fit in the Rangers' long-term plans at the price he's going to command, and the price he deserves. Gallardo put up a career-best 3.42 ERA in his first season in the American League — a rarity in a world where NL pitchers go to the AL and get shelled. Gallardo can easily expect a deal in the neighborhood of four years for around $50-60 million, money the Rangers aren't going to be able to spend on a No. 3 or No. 4 starter. 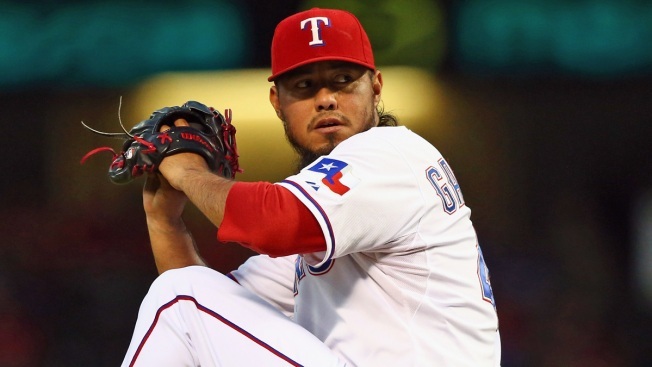 So, please, if Gallardo comes back to Arlington with another team, don't boo the guy. It just wasn't meant to be for the Rangers and Gallardo beyond 2015.